A very efficient administration system had been worked out by the British Raj in the form of officers drawn from 'Natives'. During the period 1900-1940, very competent officers drawn from sons of the soil served the soul. Out of many Sardar S. Pertab was best amongst many other officers of this efficient tribe who served the populace without any grudge dispensing government services to all sections without any personal considerations. A native of Narangwal village of Ludhiana district, he was born on June 1, 1896 at Rewa in the present-day Madhya Pradesh, where his father Col Heera Singh was commander-in-chief of the Rewa state forces. In 98 years of British rule over Punjab, only 11 Sikh officers were selected for the ICS. During this period, British government posted only one Indian deputy commissioner in Lahore. He was S Pertab, ICS, (alias Ram Parsad Singh Grewal). He was deputy commissioner for two stints. He is always remembered for his dexterity and sagacity in resolving the Gurdwara Shahidganj issue in Lahore and restoring it to the Shiromani Gurdwara Parbandhak Committee. S. Pertab had many firsts to his credit. He was also the first Indian deputy commissioner of Delhi and Shimla. While doing his graduation from Khalsa College, Amritsar, he opted to serve in the British army as a jawan from 1914 to 1916. After his graduation, he went to Oxford for higher studies. He started his career with North West Railways before he got qualified for Indian Civil Services Cadre 1921 along with his other famous batch mates Neta Ji Subhash Chandra Bose and Malik Hardit Singh. Due to his family background as Army Officers, before joining the Job, he volunteered for army service in First World War (1914-1918) posted in Baghdad. Mr. Pertab was a popular administrator at all his postings. When he was Deputy Commissioner of Montgomery (renamed Sahiwal in Pakistan), his kindness won the hearts of the people and they named the Gymkhana Club after him. The name Pertab sticks to this day. A garden and a road were named after him. Both carry his name to this day. While in Ferozepur as DC on December 19, 1931, Pertab, along with a British SP, had chased and killed a dacoit and got a kidnapped girl restored to her family. Wherever he was posted, Pertab opened parks, worked for the welfare of the downtrodden and got ladies clubs and hospitals opened. He also undertook massive beautification and restoration work on famous "Ridge" at Shimla. 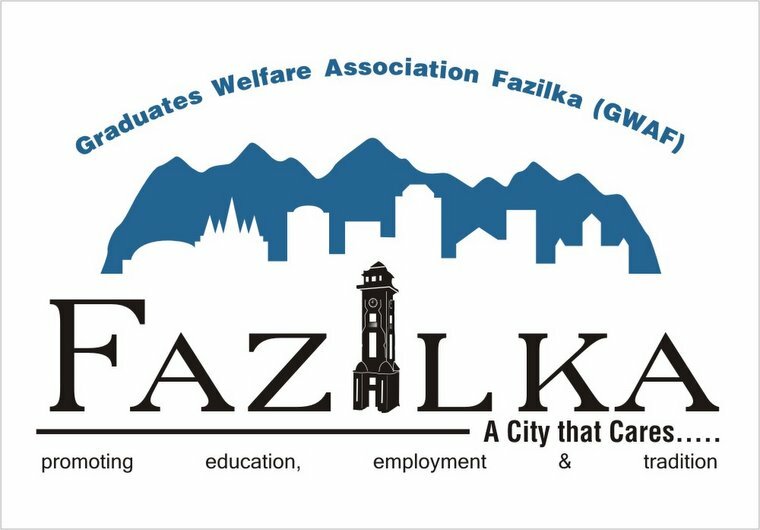 At Fazilka during his tenure as Deputy Commissioner Ferozpur, an educational complex for girls and a specially laid out garden was installed in the erstwhile spacious Khattianwala Bagh of Fazilka in the area of about 10 acre in the Middle of the city Fazilka. The Municipal Committee Fazilka renamed the Khattianwala Bagh opposite the Civil Hospital for Women (Government High School for Boys Fazilka was located in the southern corner of this very garden before it was shifted to the present campus in 1926) after him as Pertab Bagh in 1930s. Electric powered water pumping was also installed in the existing brick well of the garden. The water from electric powered pump of this campus was supplied to the four sprayers at the periphery of famous Clock Tower Fazilka (inaugurated in June 1939) by an underground pipeline. He died on June 16, 1939 after battling leukemia for two years when he was serving as DC in Shimla. Ironically 10 days later, when famous Clock Tower of Fazilka was inaugurated. The illustrious ICS officer was cremated in his native village on June 17, 1939. Kaushik, Ravinder, Retd. IAS. (2012). Lahore's only Indian DC stands out. Hindustan Times, Chandigarh. 22 April. The menace of stray dogs has been on the rise in Chandigarh, with nearly 500 dog bite cases being reported from the city each month, so in order to control the population, Chandigarh Administration and Municipal Authorities have started sterilization in order to control growth. Welcoming Step as a part by working on Supply Management.....Now on the similar context of road crashes, where Car bites similar same number of people and causing death of more than 10 people every month...more alarming and serious than do bites....as a solution the same Chandigarh Administration facilitating cars with more number of Parking lots, by widening the roads, my making flyovers...here their approach is contradicting their own philosophy of Supply Management..here they are to facilitate growth of Cars by doing Demand Management.....here solution will come by increasing the numbers of Cars of by doing the sterilization of Cars ...Looking forward your opinion ? ?